A soothing gray hue brings the tranquility and wonderment of nature to the bedroom each night. Product Description Great Outdoors. Incorporate your love of nature into your bedroom with the Tribeca Queen bed. Featuring solid acacia wood construction, this rustic piece pays homage to the gorgeous wood grains of the oldest trees, with each plank as unique as the design itself. 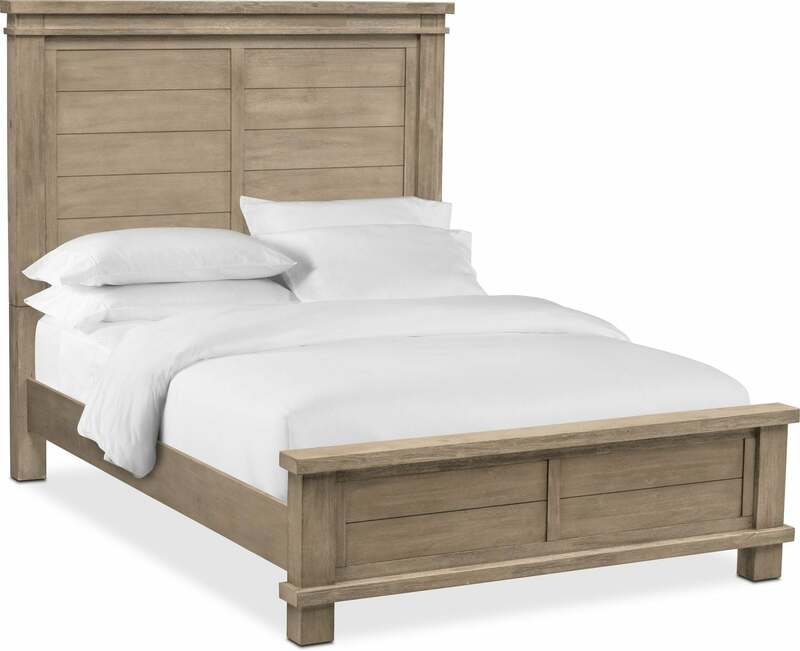 The real focal point of this bed is the headboard; with an earthy wood paneled design, style comes naturally. Customer assembly required. Unique Features: Clean lines complement contemporary décor perfectly. The bed features tall stature and a vintage silhouette.